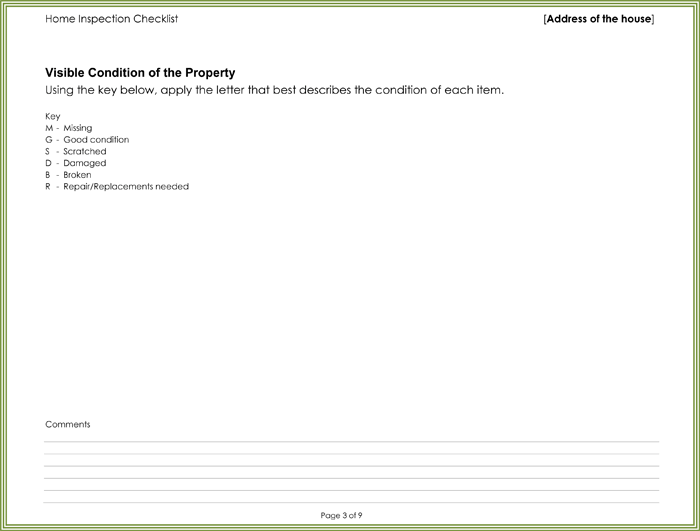 Whenever anyone makes the decision to purchase a new home, there are a few things that should be checked out beforehand in order to ensure that everything is in order. 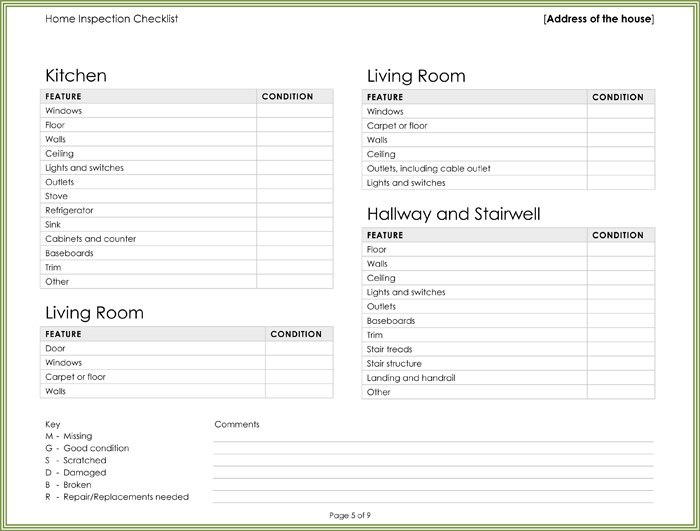 This is where a home inspection checklist will come in handy, especially because you will be able to determine what portions of the home look great and which portions need any kind of repair work done to them. If the necessary repair work is not done, this could lead to some potentially serious issues later on. 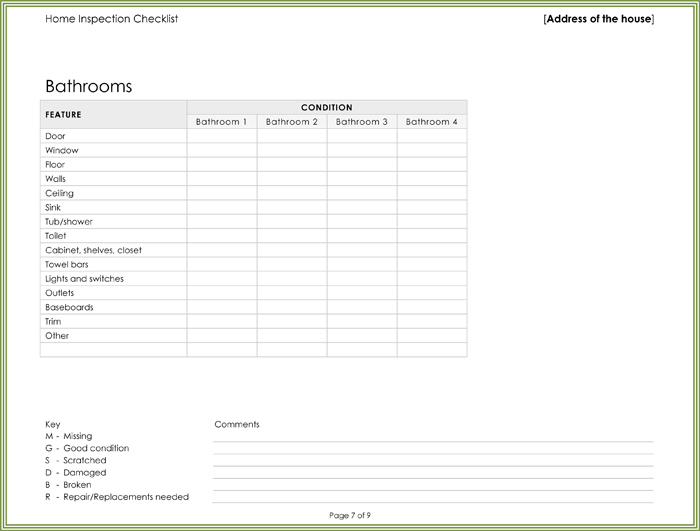 Using a home inspection list will help you keep track of how and when these issues are dealt with. 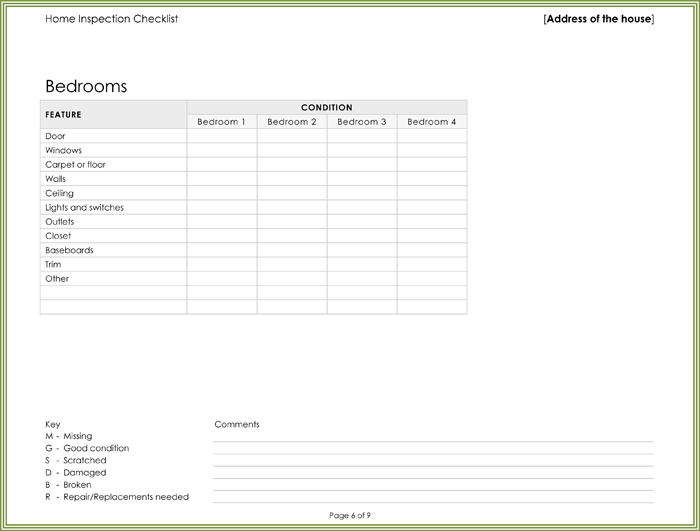 The home inspection list to be reviewed here is rather simple and easy to follow. As stated at the very top, it is recommended that you print this out and take it along with you whenever you look at a home before you make any kind of a final offer on it. 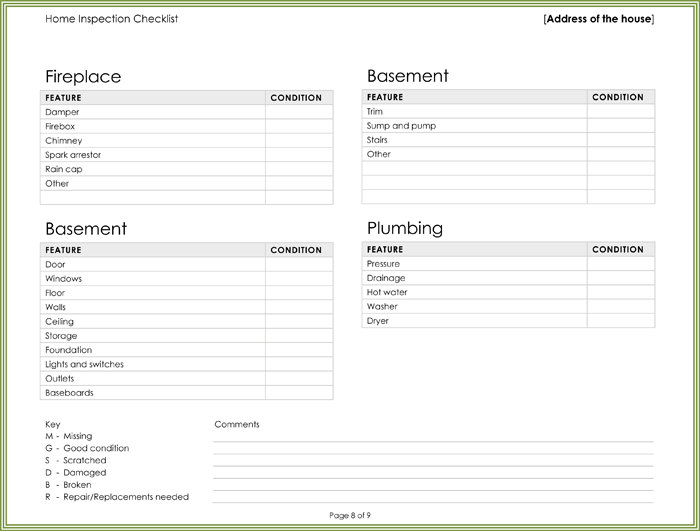 The first portion of the checklist template allows you to list basic information such as the address, price, lot size, style, and color of the home. Additionally, there are also spaces where you can list the necessary contact information for the individual who has listed the home for sale. Other basic information such as which direction the home faces, traffic involving automobiles and trains, and whether or not there are any sidewalks nearby can also be listed on this checklist. 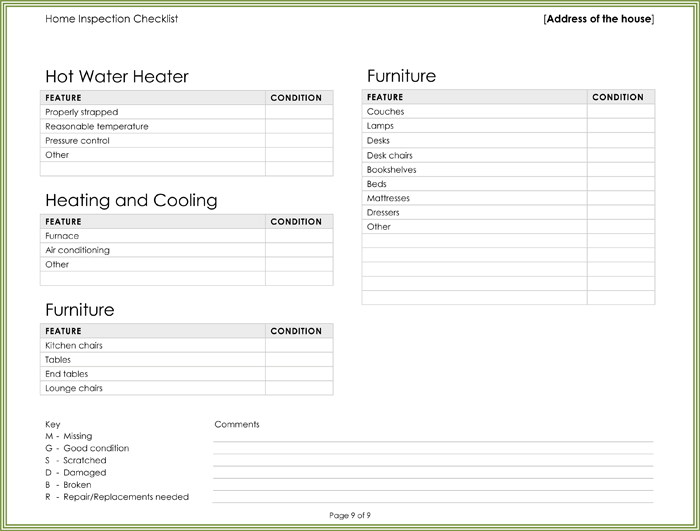 You can also list how old things such as heating, plumbing, and air conditioning are as well. 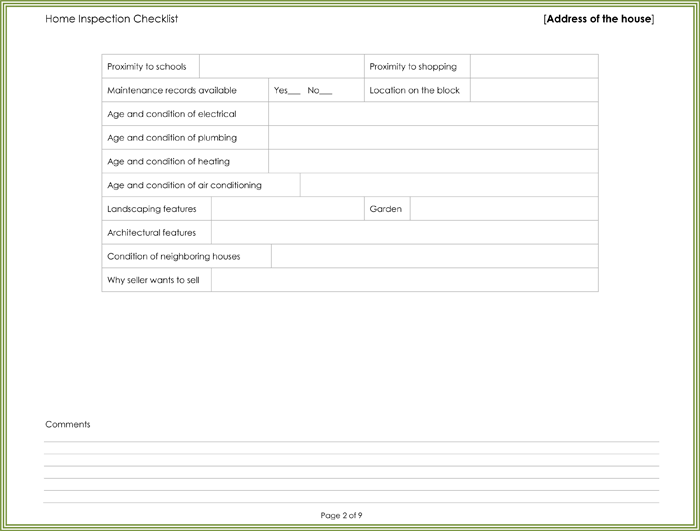 The next section of the home inspection template involves you detailing the overall condition of various object on both the exterior and interior of the home. There are separate spaces for this in which you can use a key to write in a certain letter to determine whether something is missing, damaged, broken, needs some form of repair, scratched, or is in otherwise good condition. 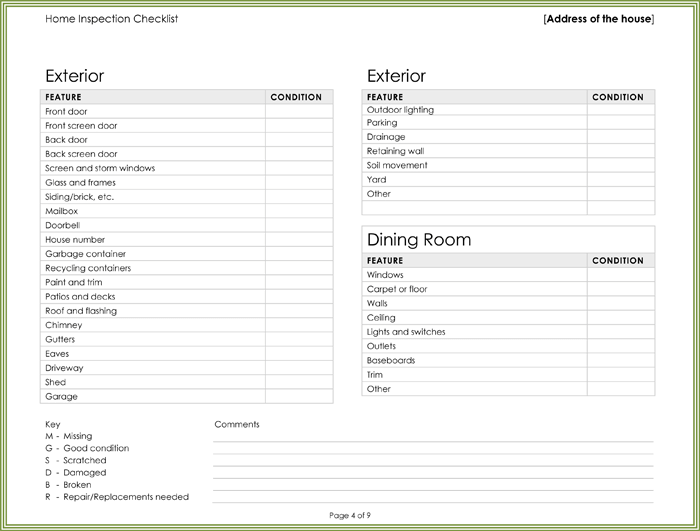 It should also be noted that a home inspection checklist is, in no way, meant to be any form of replacement for a qualified home inspector. It is still extremely important for you to retain the services of one of these individuals to conduct a thorough examination of the property in order to ensure that everything is properly maintained.